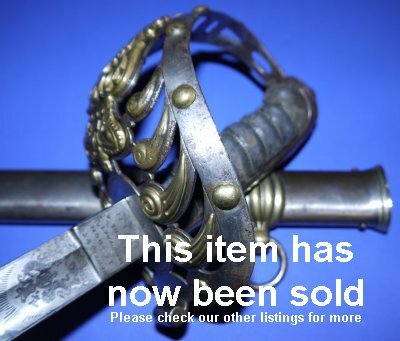 In very good overall condition, a scarce Victorian British Household Cavalry (2nd Life Guards) Officer's Sword by Hawkes. 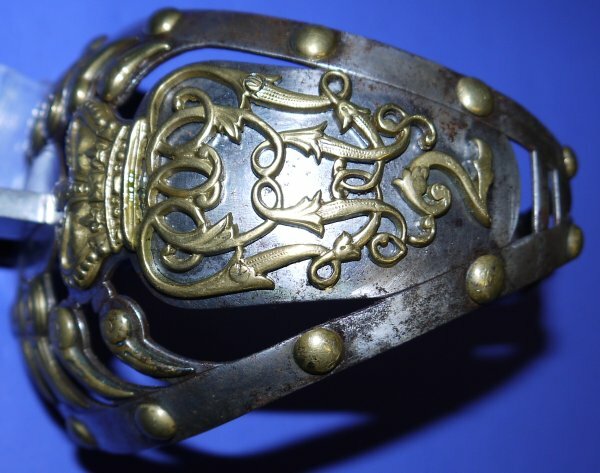 An authentic (beware of fraudulently aged reproductions) iconic Victorian Household Cavalry officer's sword that 100% would have escorted Queen Victoria on numerous public appearances. 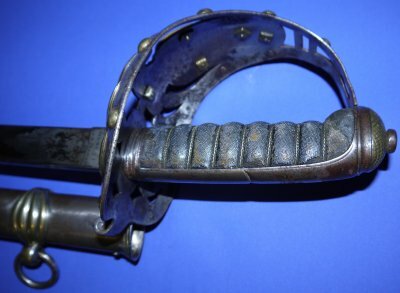 The 34 5/8 inch plain, except for Hawkes logo, blade is in very good condition and firm in the hilt. 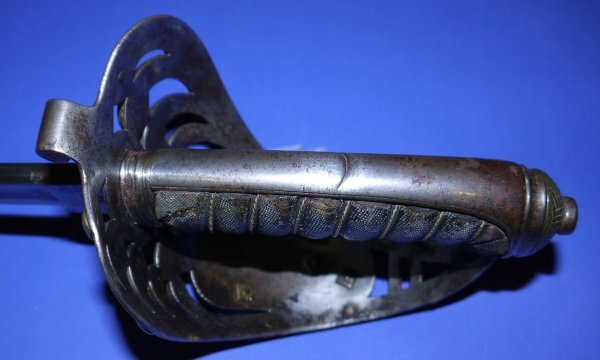 The sensational brass on steel hilt / guard with 2nd Life Guards badge is aged but complete and very good. 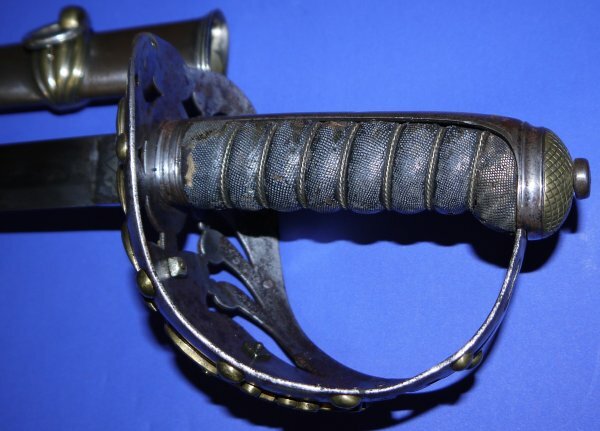 The fishskin grip bears witness that this sword saw plenty of service life (it has wear). Silver metal twisted grip wire bindings are good. The steel with brass lockets and chape scabbard is aged but good. The sword sheathes and draws well. A beauty of a sword that has been aside probably the greatest queen the world has ever seen. Hold it and drift back in time. So much for so little, £? (too late, now sold). Please quote item reference U30 (0829). Further / full sized images upon request.